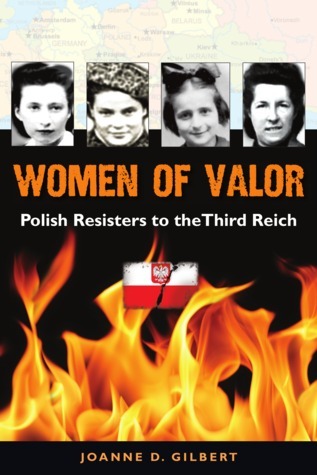 Women of Valor: Polish Resisters to the Third Reich by Joanne D. Gilbert is a collection of heart-warming, terrifying, and inspiring stories of Polish resisters against the Nazi Third Reich during WWII. These four women have tension filled tales to tell, and they are full of bravery, luck, and serendipity. As stated in the introductory pages and the brief history on Poland and its Jewish people, Poland was often conquered and victimized and in some areas of the nation, there was rampant antisemitism. In fact, the country was often treated like a spoil of war, and that did not change when the Nazis began expanding their reach across Europe. Several of these resisters mention in their stories how Jews are often considered weak and meek, but their stories clearly illustrate that these women engaged in all kinds of resistance against the Nazis and that they were not alone in their fight. Manya Feldman, a nurse and fighter during the war, was considered the “crazy Jewess” when she was infected during the war and unable to walk and move. She was forced at an early age to decide to flee the ghetto into the forest or stay with her mother and young sisters, but her decision left her haunted forever. After joining the Kovpak partisans in the forest, she was again separated from her brother and father, but she had little time to wallow as she was expected to not only engage in village raids for supplies, but also nurse the wounded and sick. Faye Schulman was a nurse, fighter, and photographer, and her skills as a photographer saved her from Nazi punishment more than once. She even noted, “We all had to be off the streets at dark, which was difficult in winter when darkness came so early. It was especially challenging for teenagers who wanted to socialize or carry on romances at night. … I had no idea that this sneaking around would soon become a skill that would keep me alive.” And at one point, she even found herself near the camp of the Bielski partisans, who were depicted in the movie Defiance. Lola Lieber was a young woman between childhood and womanhood who was forced to grow up quickly when the Nazis came to Poland. Her birth outside Poland in Czechoslovakia even became an asset, not only because she knew different cultures and languages, but because the Nazis spared her and the family for a time. As they put their artistry to the test in forging documents, Lola’s life and that of her family was constantly hanging in the balance. Miriam Brysk was a little girl who dressed as a boy, and she took to heart the discipline she had been taught as a young girl: to always listen and follow orders. Women of Valor: Polish Resisters to the Third Reich by Joanne D. Gilbert is a fantastic look at how these women used their intelligence and the skills they had since childhood to resist the Germans, to fight them through guerrilla tactics, and evade capture and death. Gilbert does a great job of setting up each story so that the reader knows how these women fared after the war and where they live now. And as many of these women, men, and soldiers are passing on, these stories from WWII grow ever more important to collect because they remind us that people’s courage should never be under-estimated. A popular Adjunct English professor at the College of Southern Nevada, Joanne is also a sought-after-public-speaker, whose presentations on both Jewish Genealogy and Jewish and Gentile WOMEN OF VALOR: Polish Resisters to the Third Reich consistently receive glowing reviews. Joanne’s extensive travels to meet with Female Resisters and Partisans have taken her to Toronto, Detroit, Grand Rapids, Palo Alto, Brooklyn, Los Angeles, San Francisco, and Paris, where she was honored to meet with a group of women who had been in the French Resistance. 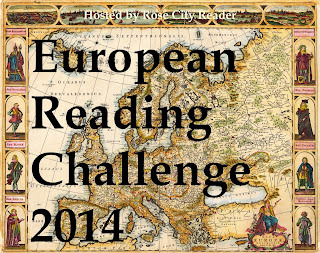 77th book for 2014 New Author Reading Challenge. 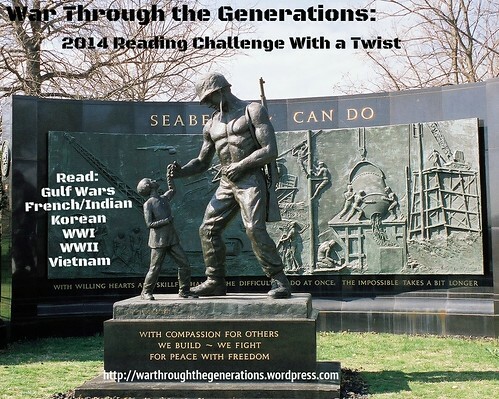 31st book (WWII) for the 2014 War Challenge With a Twist. 1. Women of Valor: Polish Resisters to the Third Reich by Joanne D. Gilbert for review from Gihon River Press in Sept./Oct. Women of Valor: Polish Resisters to the Third Reich provides a unique and inspiring perspective on the extraordinary Jewish and non- Jewish women who risked everything to defy the Nazis. In this highly readable and educational collection of true stories, educator, public-speaker and author Joanne D. Gilbert celebrates the heroines of World War II who not only fought the horrors of the Holocaust, but survived well into their 80s and 90s living lives of commitment to the human spirit and human rights.